I finally got caught up on iTunes and watched the “Breaking Bad” finale. 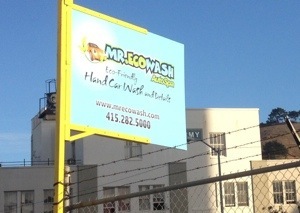 It was only the next day, sitting at the car wash, waiting for my car care professionals to finish washing my car that I realized I had subconsciously been prompted to do it by the show. Besides an automated car wash at the gas station I haven’t had my car detailed by someone else in years. I’d love to see the statistics about the uptick in car wash business around the country since Walt and Skyler bought “A1”. As a whole, “Breaking Bad” was better in a lot of ways than “The Sopranos”. I think it dealt with the nature of corruption and evil and violence in a smarter, more nuanced way. The subtlety of the show was such that it was more than the power of car wash suggestion got me to detail my car the next day. I think subconsciously, I was trying to cleanse the moral gray areas of the show from the gray matter in my brain. Then there was the synchronicity of the underground drug and criminal world that surfaced literally down the street from me the next day. It was at our local, tiny Glen Park S.F. Public Library branch where the FBI arrested the Ross Ulbricht, the ringleader of the internet black market site “Silk Road”, which operated through Bitcoin. The arrest came the day after I returned the scintillating title, “The Difficult Child”, (Hazel). If I had just waited one more day to return the book we would have had a much more exciting day at the library. Jack’s co-worker made the astute comment that even though Ross Ulbricht laundered tens of millions of dollars, in San Francisco, he still lived with roommates, which is funny enough when joking about the state of the rental market in San Francisco, but oddly in sync with Walter White’s character. Just like Walt, Ross Ulbricht had a vast fortune, yet was forced to live like he had very little money for fear of attracting attention from the Feds. It’s such an irony, to scheme and covertly obtain massive wealth and to be caught by the police not racing Ferraris or rolling on mountains of physical cash, but to be handcuffed in the Science Fiction section of a neighborhood library while typing code into a laptop. At one point I would have said, “you just can’t write that stuff”, but they did. It was called “Breaking Bad” and it’s finale dovetailed with the fate of “Silk Road” quite amazingly. Tangentially, when I took said difficult child to the children’s section of the Glen Park San Francisco branch library (10 ft. from the Science Fiction section) to return our book and check out some new ones, I saw a book that I remembered from when I was a kid called “Tikki Tikki Tembo”. I didn’t remember anything about it, but I recognized the name. “Tikki Tikki Tembo” turns out to be almost hysterically un-PC. It’s about a “Chinese” kid who can’t get rescued when he falls down a well because his “Chinese” name is so long (Tikki Tikki Tembo No Sa Rembo Chari Bari Ruchi Pip Peri Pembo) that his brother can’t say his name in one breath. It’s all illustrated as if they’re in Japan to boot. 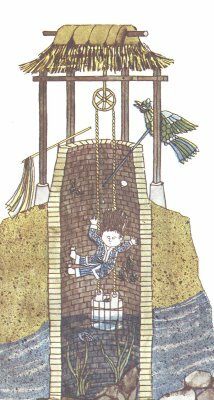 Falling down a well does not make for an “A1 day”. I’d get better looks around town if the girls started announcing that their name was “Heisenberg”. Or “Ross Ulbricht” for that matter. This entry was posted in Uncategorized and tagged A1 Day, Bitcoin, Breaking Bad, Car Wash, Glen Park Library, Heisenberg, Ross Ulbricht, Silk Road, Tikki Tikki Tembo book, Walter White. Bookmark the permalink.